Wise and whimsical owls perch on the cutest way to measure your child's growth. 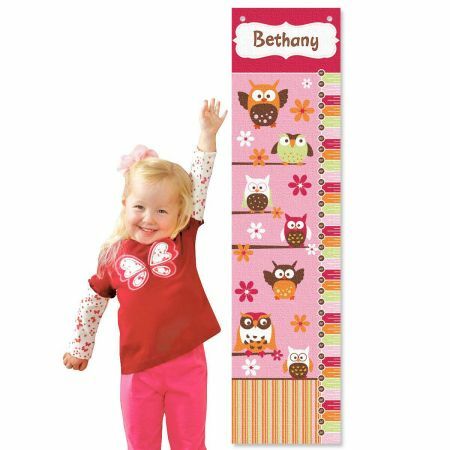 A eye-catching addition to a youngster's room, colorful 10" x 40" L, canvas chart measures height up to 58", features two grommets for hanging, position bottom edge 2 feet from the floor. Customized with your child's name. Shipped rolled.